Hi there. My name is Cyan Hewitt, and Elizabeth asked if I’d swing by and talk to you all about Christmas at my grandparents’ ranch. Rancho de Esperanza is located on a mesa in northern New Mexico. It’s sort of near Taos, if that means anything to you. Contrary to what you might think of when you think of New Mexico, they actually get quite a bit of snow during the winter months. And, I’m told, into what most people consider spring. I haven’t been there for that yet, but I guess I’ll find out! My grandparents really go all out for Christmas. They open the ranch up to the town for sleigh rides, hot chocolate, and s’mores around a campfire. They consider it a way to reach out to the community and give them a chance to hear about Jesus. There are also trips into the forested areas to cut down Christmas trees. Maybe I’ve lived a bit of a sheltered life, but I don’t know that I ever thought about people wanting to cut down their own tree. Even if we had a real tree growing up, it was purchased off a lot somewhere. It was fun going out with my granddad and Calvin. Calvin’s the son of my grandparents’ housekeeper Maria. She’s something special. So is Calvin. 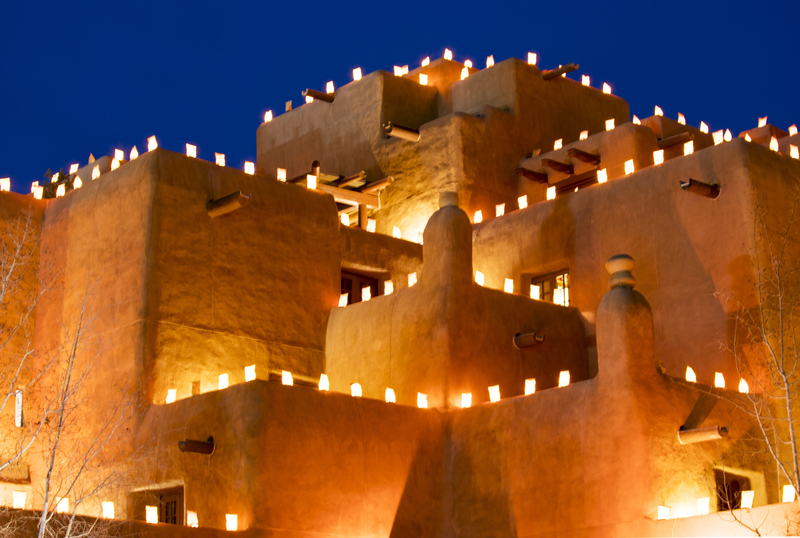 Maria introduced me to another New Mexico Christmas tradition: luminarias. Sometimes they’re also called farolitos. Basically they’re brown paper bags with sand on the bottom and a lit candle. It seems like a bit of a fire hazard, to be honest, but Maria assures me they’re not dangerous unless it’s super windy. I will say they’re beautiful in the lines along the paths and adobe houses in town and out at the ranch. I’ve really been enjoying my first Christmas in New Mexico at Hope Ranch with my grandparents, and I’m looking forward to many more to come. At least that’s the hope! 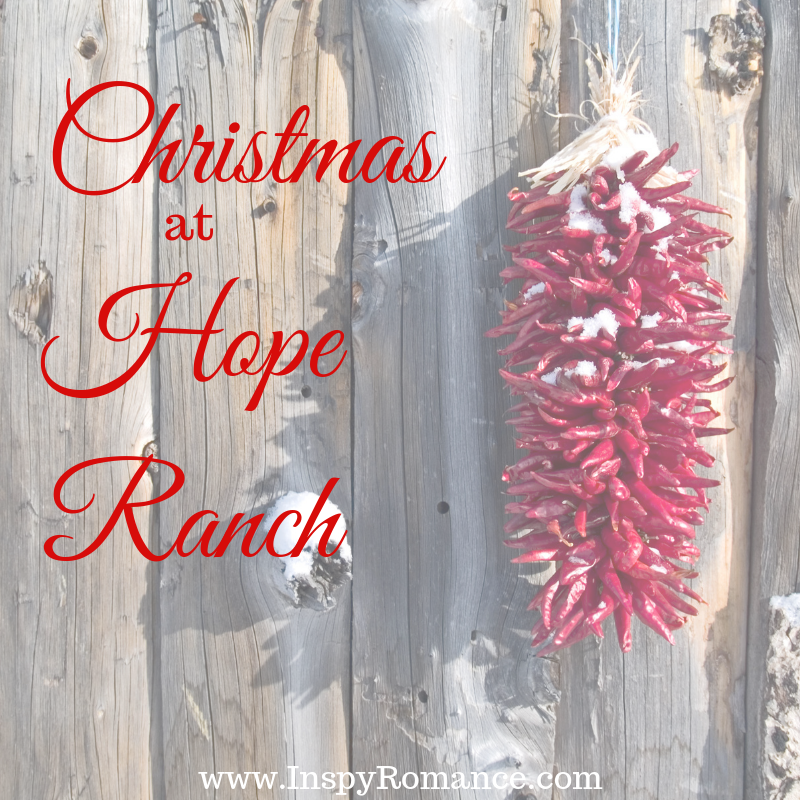 If you’d like to learn more about my time at the ranch – including those Christmas excursions – I hope you’ll grab a copy of Hope for Christmas. The e-book is only available in the box set A Christmas to Remember, which is disappearing at the end of December. You can get your copy here. Do you have any special Christmas traditions? I’d love to hear about them in the comments! Elizabeth Maddrey is a semi-reformed computer geek and homeschooling mother of two who lives in the suburbs of Washington D.C. When she isn’t writing, Elizabeth is a voracious consumer of books. She loves to write about Christians who struggle through their lives, dealing with sin and receiving God’s grace on their way to their own romantic happily ever after. Hi Elizabeth, thanks for sharing:) We actually used to place luminaries in our street at Christmas time- then we had a few years of very windy weather and the tradition stopped. Another tradition we love is the CFA Santa run- our local volunteer fire brigade ferries Santa around town on Christmas Eve to hand out lolly bags to the kids. You definitely don’t want candles in paper bags when it’s windy! The santa run sound fun! I have this beautiful collection of stories and I’ve read them . They are all wonderful stories and I look forward to more stories with some of the characters and to hear they family stories. Yay! I’m so glad you enjoyed them! 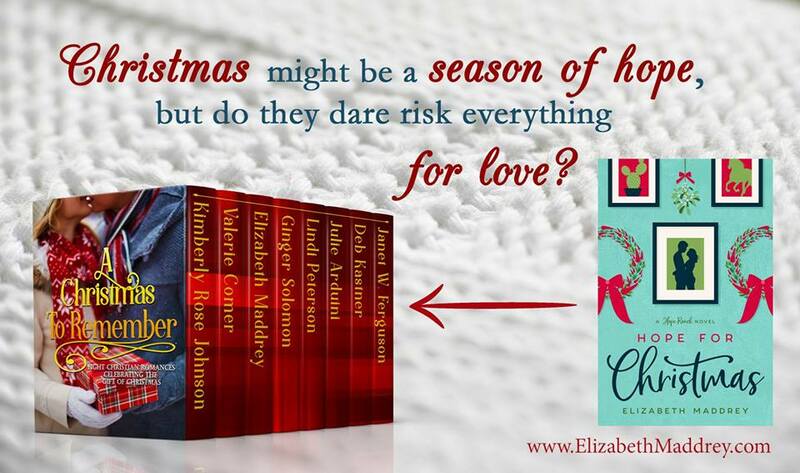 This is a lovely Christmas collection! Awesome books by you wonderful authors!! Cookie baking with the family was always my favorite tradition! Hi Elizabeth! Enjoyed the boxed set. As a retiree with grown children, Christmas traditions are ever changing. This year I did the 12 days of Christmas with my sons, daughters in love, and grandchildren. For 12 days, I gave esmall gifts or encouraging notes. With a 23 month old in the house, decorations are toddler friendly and finally last night an elf set up the table top three foot Christmas tree. Hubby didn’t even hear Santa’s elf. Hubby is pre diabetic, so no baking this year. Tuesday night we did a holiday concert. Merry Christmas. I love how traditions can change and grow as families do! The 12 days with your sons and daughters in law sounds like a lot of fun! I thoroughly enjoyed all of the books in this collection. Thanks to all of the authors. I enjoyed Cyan & Maria’s story, and look forward to more in this series. I’m so glad you enjoyed it! I think it’s going to be 2020 (maybe late 2019) before there are more as an informal poll seemed to indicate that people want me to finish Peacock Hill first. And yes, “sigh-ann” is right. It’s not super manly compared to some names but maybe not as bad as others? The ranch sounds amazing. Thanks for sharing your story. Thanks Gina! I hope you get a chance to spend some time there. My brother and I were going through some tough times. My wonderful mother took the 3 of us on Christmas cruises to Mexico in 2013 and 2014!! I love this. What special memories!